The opioid industry appears to be betting that even legal headaches can go away with the right medication. Purdue Pharmaceuticals is reportedly offering free doses of an anti-addiction medication to people suing the company over its aggressive marketing of Oxycontin, the $35 billion dollar revenue-generator that has become synonymous with the nation’s opioid crisis. According to a recent report in Bloomberg News, Purdue in legal settlements is offering people “free opioid therapy” in the form of a product that contains buprenorphine, an older opioid substance that clinics have increasingly used in recent years to treat addiction to more dangerous opioid drugs. The Sackler family, the empire behind Purdue Pharmaceuticals, has ties to a patent on a new formulation of buprenorphine: a medicated wafer that its inventors say can provide “drug substitution therapy in drug-dependent human subjects.” The wafer would also be used for pain relief in humans and animals, according to the patent application. Exactly how much of the medicine Purdue is willing to donate to patients suing the company remains unclear. The company has not yet returned messages from ConsumerAffairs. Therapeutic wafers are hardly the first product that the drug industry is promoting in response to the epidemic it is accused of causing. In recent years, Purdue Pharmaceuticals has highlighted a partnership with Sheriff departments across the nation that includes donations of thousands of bottles of naloxone, a substance used to revive people suffering overdoses. More recently, Purdue awarded a $3.4 million grant to Harm Reduction Therapeutics, a nonprofit drug developer that promises to create a cheaper version of naloxone within a year. Purdue has also recently introduced a new drug to treat opioid-induced constipation. The idea that that nation's opioid epidemic can be combated with the right products is a convenient narrative for the industry, as well as those who are suffering. In response to news that the Sackler family is patenting a new addiction treatment, some industry critics have called for the buprenorphine wafers to be distributed to freely to all patients in need. But addiction specialists warn that the disease is a long way off from an easy cure. "People keep talking about how great things [like Naloxone] can be once you're on it,” says Walter Ling, a retired psychiatry professor who spent forty years leading research into addiction and substance abuse at the University of California in Los Angeles. And naloxone is effective at helping people, he acknowledges -- if that person is suffering from an overdose that could otherwise kill them. It’s hardly an ideal scenario. “It's like someone telling you how great heaven is,” he says, noting that most people would still prefer not to die and go there. Like other people who have witnessed the crisis first-hand, Melissa Fults questions why anyone should trust the pharmaceutical industry to develop an addiction cure. Her son, when he suffered from an opioid addiction, refused to go to rehab after hearing rumors that the drugs used to treat the disease were even more addictive than the original painkillers. “Let's be honest. Pharmaceutical companies don't make medication that you can take and walk away from. They want your business for the rest of your life,” Fults tells ConsumerAffairs. Instead, she credits cannabis for helping her son combat horrific withdrawal symptoms; her advocacy over the issue is credited for helping to mobilize Arkansas voters to legalize medical marijuana in 2016. Other people are turning to unregulated clinics across the border that use ibogaine, a hallucinogenic substance that is illegal in the United States. A limited amount of research into the clinics suggests the drug may help people with substance abuse disorders. “I think we have to explore all these things and I'm actually pleased that at least [some research] is being done,” says Dr. Marvin Seppala, the chief medical officer of the Hazelden-Betty Ford center, which has taken a decidedly more mainstream approach to addiction therapy. Though he is “a little hesitant about the cannabis angle because a lot of it's not research-based,” Seppala acknowledges that mainstream medicine could still benefit from examining alternative treatments. And he blames the federal government for hampering much of that potential research. “In general I really appreciate the examination of the possibility” that other treatments may work, he adds. The Hazelden-Betty Ford Foundation used to rely on abstinence-only treatment to help addicts. But in 2012, they made a major change. The clinic said they would provide medication-assisted treatment to some opioid-addicted patients, a decision that won the clinic both praise and controversy due to the public’s conflicting views about whether opioid drugs should be used in treating opioid addiction. Seppala says that buprenorphine is helpful to some patients, particularly those who have never tried to abuse the substance. Whether the Purdue empire’s interest in developing new buprenorphine products is an adequate substitute for the suffering that Oxycontin has caused, however, is another story. Seppala remembers being told that opioids were dangerous and addictive in the 80s only to watch the message completely change around the mid-90s, the height of Purdue’s marketing campaign encouraging doctors to prescribe oxycontin. “I don't think they initially really recognized it was causing addiction, but over time they certainly knew it,” Seppala tells ConsumerAffairs. 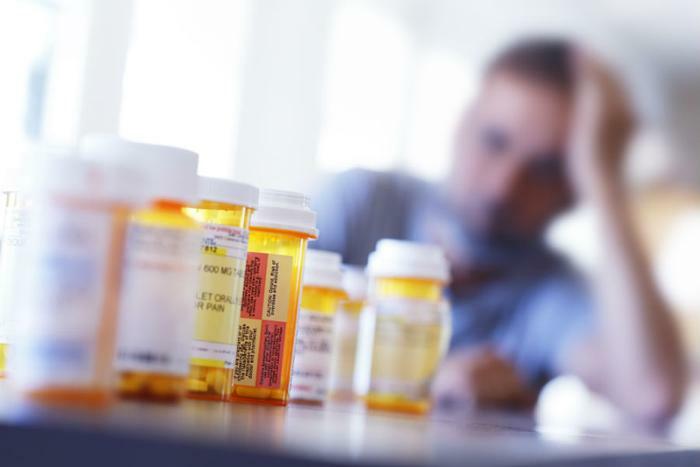 Numerous studies authored by people like Ling, the UCLA researcher, suggest that buprenorphine, though prone to abuse, is also effective at helping people quit opioid substances and subsequent treatment for good. In an interview, Ling says that his research only tells part of the story. “Some people may need to stay on [buprenorphine] because they spend their whole life trying to get their life together,” he tells ConsumerAffairs. To remain drug-free permanently, people also need access to rehab, individualized care, time to recover, and eventually, he says, “something to stabilize your life”-- treatment far beyond the scope of what healthcare services are offering today. “We think these people are sick and they need help. But somehow in our mind we also think they have done something to bring this upon themselves, so we think we should suffer a little,” Ling says. Solutions aren’t easy, but he says the healthcare system as it stands is not the answer. "When a medical treatment system clearly is a business, it's just bad news,” he adds.